It can be quite tricky getting the hang of Adobe Illustrator, but if you take a step back and concentrate on the basics there's a range of options for creating great looking images. 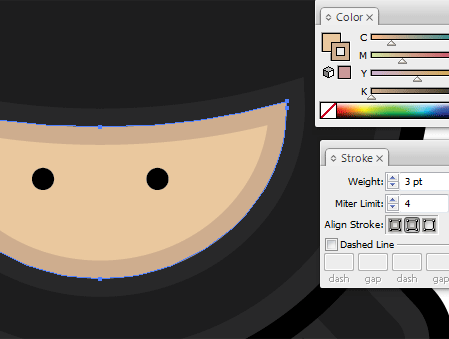 In this tutorial, we'll take a look at constructing a group of cool vector ninja characters using just the basic shapes and a variety of simple tools, making it a good start for Illustrator beginners. 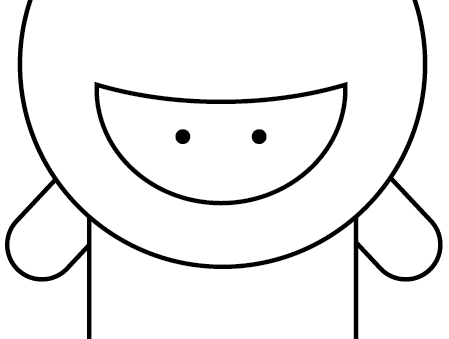 After opening up Adobe Illustrator, create a new document. For a fun project the size of the document doesn't matter, Illustrator has a vast area of artboard beyond the document edges that can be used. I personally use the CMYK color mode out of habit and the ease of managing blacks, but a wider range of colours are available with RGB. The choice should really depend on the final outcome of the project; print or web. Depending whether your Illustrator software has the default settings, you might want to check the options for the [Sadece üyeler linkleri görebilir. Ücretsiz üyelik için tıklayın], this little option could save you a headache layer down the line. 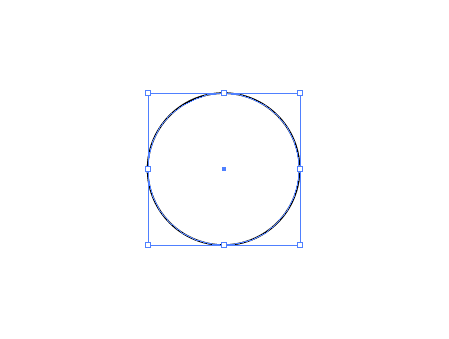 Grab the Circle Tool and draw a shape on the artboard, hold the SHIFT key to create a perfectly equal object. By default this will have a white fill and black stroke. 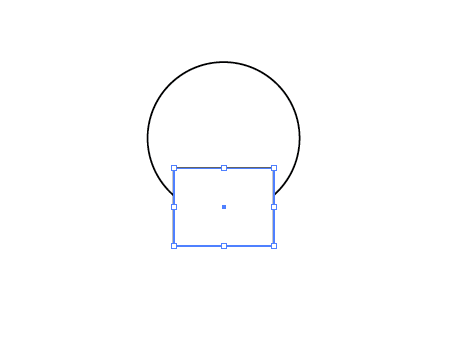 Select the Square Tool and draw another shape on the artboard, position this to overlap the original circle. 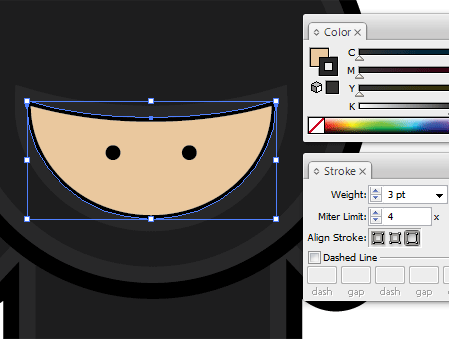 Use the Align Palette to centre the two shapes horizontally. 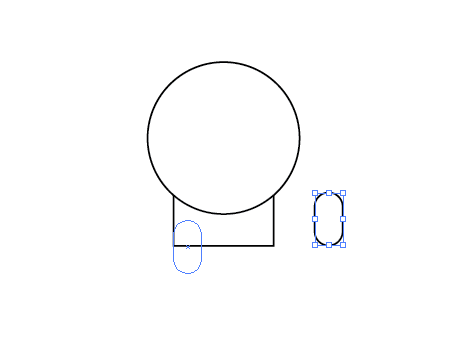 From the same menu, use the Rounded Rectange Tool to draw a small leg. Adjust the roundness of the corners with the keyboard cursor keys until the ends are completely circular. Zoom in and position the leg exactly in relation to the edge of the square body. Duplicate the leg and move into position for the remaining limbs, for the arms rotate the shape by 45 degrees. 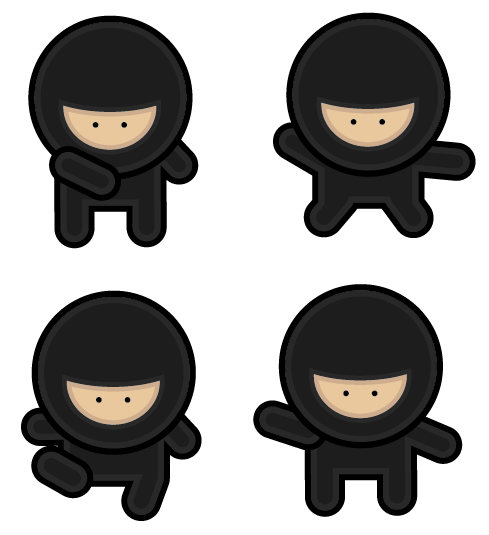 To position the shapes behind the other objects, press the CTRL + [ and CTRL + ] keys repeatedly to adjust the stacking order of the selected objects. 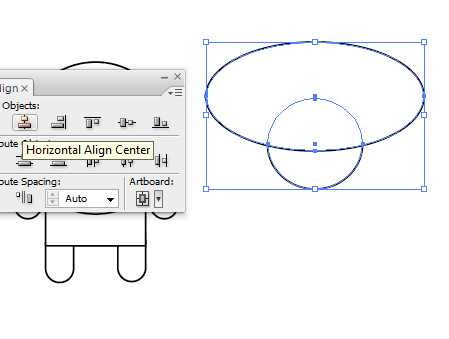 Draw another perfect circle onto the artboard, and beside it a much larger oval. 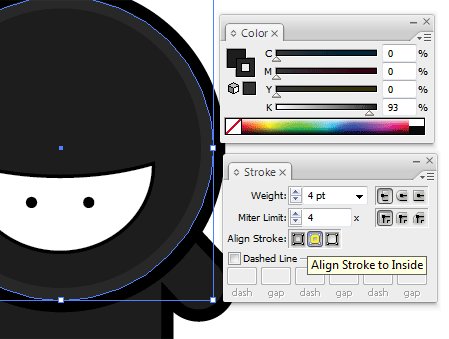 Overlap the two and use the Align Palette to position exactly. 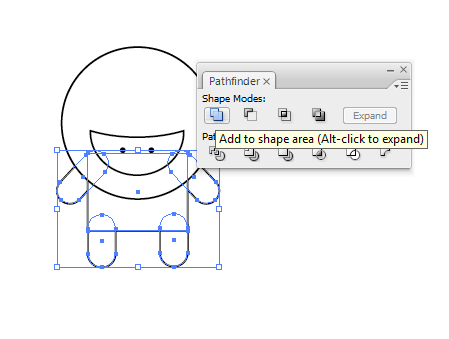 With the two shapes selected, click the Subtract from Shape Area option from the Pathfinder palette. 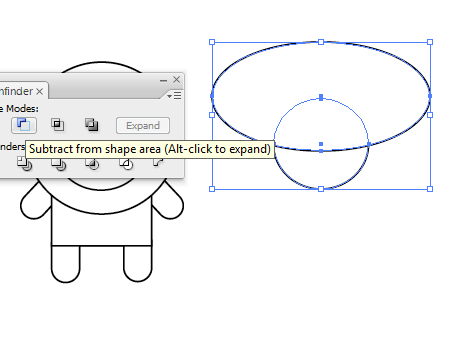 Click the Expand button to refresh the bounding box of the shape. By using temporary shapes as tools along with the Pathfinder options, a range of custom objects can be created. 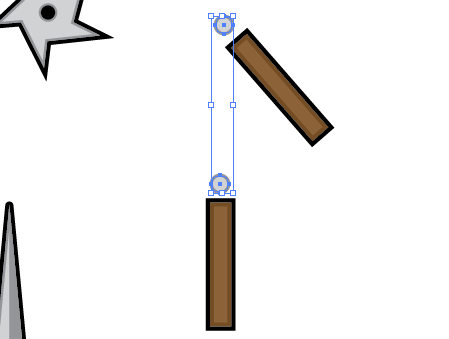 Grouping any pairs of objects, such as the eyes and arms will allow them to be centralised with the other objects using the Align Palette without being moved individually. 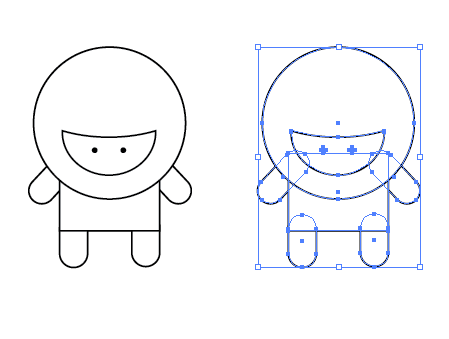 With the complete line-work character laid out and aligned, draw a selection around the complete object and copy and paste a duplicate. Move a copy off to the side as a backup. 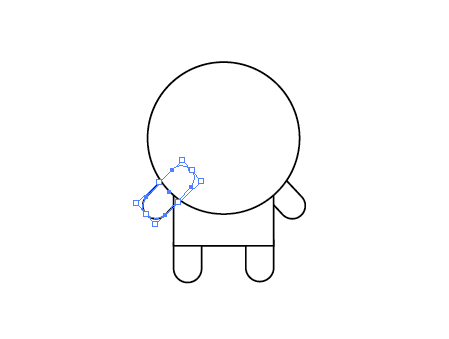 With all the objects that make up the torso and limbs selected, chose the Add to Shape Area option from the Pathfinder tool and Expand to merge the shapes into one. Fill the body elements with a very dark grey (95% black) and add a 4pt stroke aligned to the outside at 100% black. 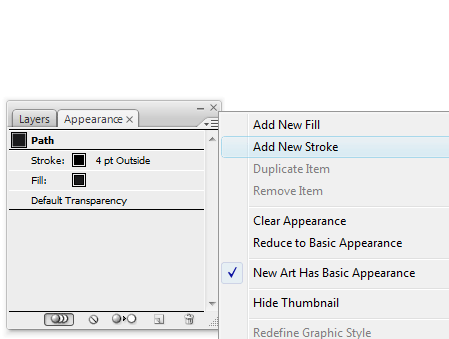 In the Appearance Palette, click the small options arrow and select Add New Stroke. This time, add a 4pt stroke aligned to the inside, with a lighter, 93% black. This multiple use of strokes is a technique I've come to use in my character designs which really helps lift the colours by adding a little depth and variation. Select the facial area and fill with a pale skin tone, add a slightly thinner stroke at 3pt aligned to the outside using the 93% black. Add a New Stroke through the Appearance Palette and give this line a slightly darker tone, aligned to the inside of the shape. 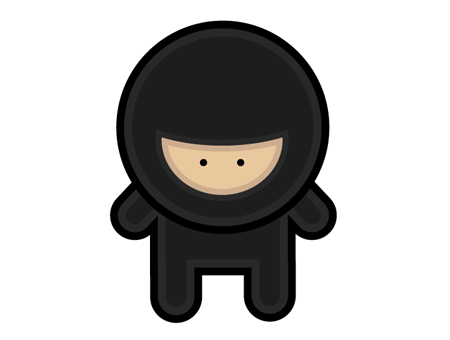 The basic version of the character is complete, ready for some stealthy ninja action. 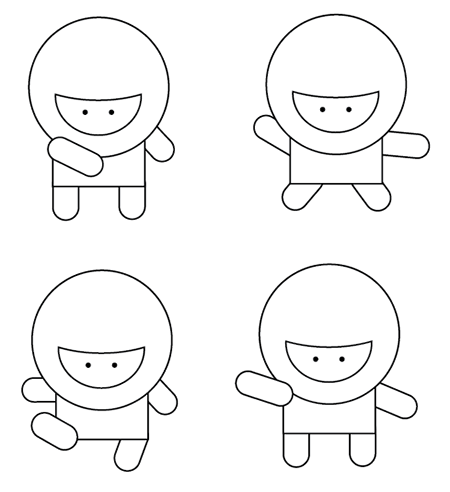 Copy and paste multiple variations of the original line-work character. 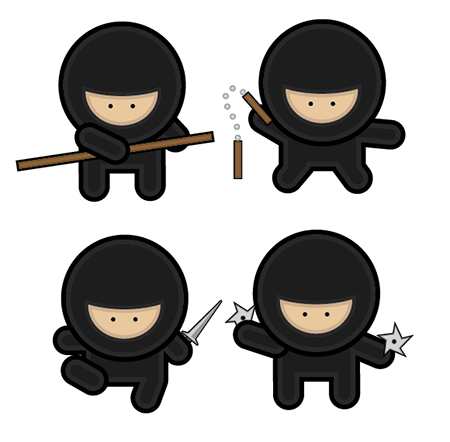 Adjust and rotate the limbs into a range of scary ninja combat positions, adjust the stacking order of the arms to in front or behind the body to give different effects. 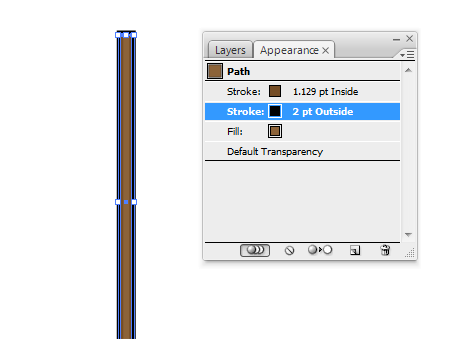 Create a staff using a long thin rectangle, fill the object with brown while adding a black outline. Create a pointed object using the Star Tool, using the Direct Selection Tool select each of the points of the path from each arm of the star. 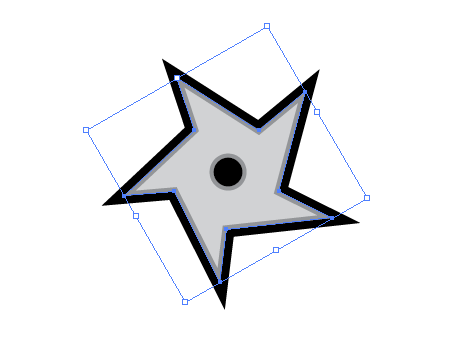 Upon selecting the Rotate Tool, the point of origin will automatically default to the centre of the object. 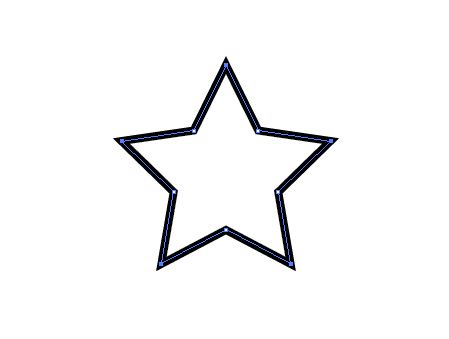 Click and drag to adjust the overall shape of the star. Draw a solid circle in the centre and fill the death star weapon with a metal like grey. Add a black outline and a secondary inner stroke with a slightly darker grey. 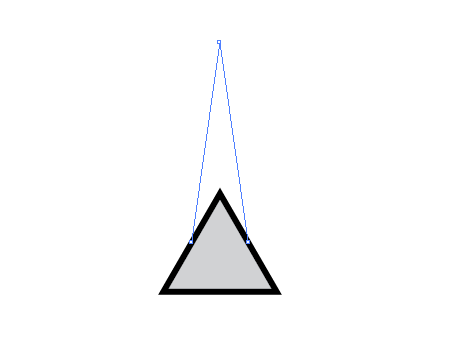 Using the same colour scheme, draw a triangle by dragging a shape with the Star Tool and pressing the downwards cursor key to reduce the number of points. 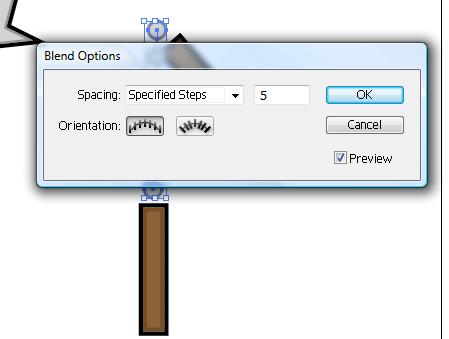 Grab the upper most point with the Direct Selection Tool and drag vertically. 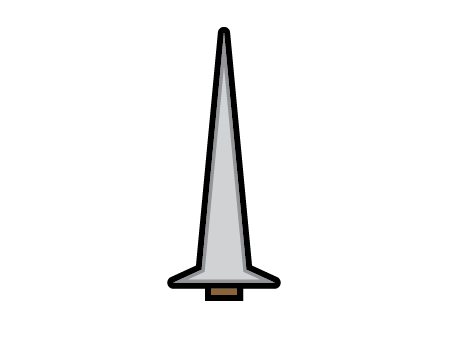 Select and drag the middle two points to squash the lower half into a sword like shape. Finalise this with a small brown rectangle, remember the majority of the handle would be concealed by the hand so only a small section is required. 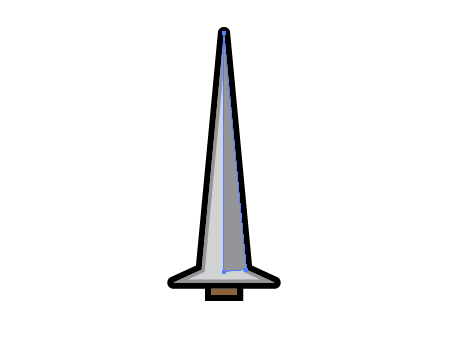 Use the Pen Tool to neatly draw in a three sided shape to represent the chamfered finish of the sword blade. Go back to Object > Blend > Blend Options, enter 5 under the Specified Steps option to alter the type of blend to give a line of individual items. 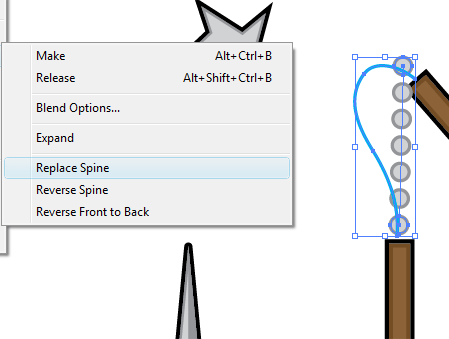 Use the Pen or Pencil tool to draw a temporary line to symbolise the desired route of the Nunchuk chain, with this and the blend selected, go to Object > Blend > Replace Spine. Group each individual weapon and move into place on the various characters, completing the group making them ready for action! Using basic vector shapes, a stylish and fun image can be created using just the basic functions of Adobe Illustrator.